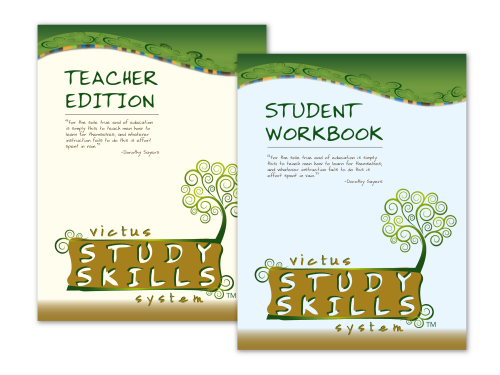 Victus Study Skills System . . . A T.O.S. Review | My Journeys Through Life . . . Herding Cats In New Mexico! ← Weekly Wrap Up . . . Ending With Some Excitement! 1) Where Am I Now? Lesson One (Study Habits Checklist) is a self-assessment to help determine what the student is doing now. Lesson Two (Learning Strengths) helps assess how the student takes in information (through Visual, Auditory, or Kinesthetic means) and gives some useful tips on how to help your dominant learning strength or improve a weaker one. 2) Where Do I Want To Be? Lesson 3 (Mission and Goal Setting) first asks the student to visualize where they were 5 years ago, where they are now, and where they would like to be five and ten years from now. This helps the student visualize long term goals for themselves. They are also introduced to the “SMART” method of goal-setting; the objective must be Specific, Measurable, Achievable, Realistic and Time-bound. The lesson ends with an introduction to a system to help them set priorities for long-term goals. 3) How Do I Get There? Lessons 4 through 10 get into the specific details and exercises to help the student develop good study habits through Time Management, Organization and Study Environment, a study process with the mnemonic “PQRST” (more on this later), Listening, Note Taking, Test Taking, and a final review. This is the type of course my husband says he would have loved to have when he was back in school. He says he was a “brainiac” who never had to study that much in high school. When college rolled around, however, he struggled until he learned how to study. 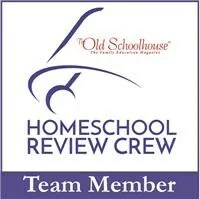 If you run a structured home school and you have a student (or students) struggling with some course materials, then this course might be a welcome addition. In our loosely run, lightly scheduled, eclectic situation, however, we did have some challenges. My husband has had experience with courses like this in the past through his workplace, so I asked him to take the lead on it. We chose “The Artist” to work with, as we were hoping to help him with his habit of flitting about from project to project and help him prioritize things. They did quite well with Lessons One through Three. They determined how The Artist best takes in information (Visually, with Auditory and Kinesthetic in a virtual tie for second place), and we are using some of the tips to help the weaker aspects. Lessons Four through Ten, however, were a bit difficult. For example, the Time Management chapter was good for people still in “analog,” as my husband calls it. It gives tips like, “Write your schedule in pencil to allow for changes.” We’ve been using Google Calendar on “The Artist’s” tablet for several months now for scheduling daily chores, appointments, etc. with good results. Plus, he is already a good note taker, so he didn’t get a whole lot from the Note Taking lesson. We use a notepad application on his tablet so he can transcribe and organize notes from various study subjects into color-coded pages. We also do not use any kind of curriculum that has examinations, so he totally lost interest in the Test Taking lesson. Read – “action” reading, to find answers, note, highlight, etc. “The Artist” finds learning by reading very easy (just like his father). But his father told him that, as he continues in his education to more advanced subjects, he will hit a brick wall at some point! He told “The Artist,” “There will be subjects that just do not jump off of the page and into your head; you will need to know how to pull that information out of the book by force! Better to learn those methods now instead of waiting until you really need them!” “The Artist” was not happy at first, because the PQRST method takes a little longer than just simply reading the page. But he has now incorporated it into his study routine, and we do believe it will serve him well when we start moving to some more complicated subjects down the road. At the beginning, we thought we would not get much from this course. We don’t test, so we have no way to measure whether or not the course is effective for us. And several of the lessons just simply did not apply to our circumstances. However, as mentioned above, this system was helpful in that “The Artist” HAS been able to incorporate some of the methods into his way of learning. While I personally would probably not spend $60.00 on the Victus Study Skills System, as written above, I can certainly see where it could be of immense help to a homeschool student in a structured program, or even a student in public or private school.